Triple H suffered a torn pectoral muscle during his tag team match with Shawn Michaels, The Undertaker and Kane back at Crown Jewel on Friday and underwent surgery to repair the muscle on Wednesday. 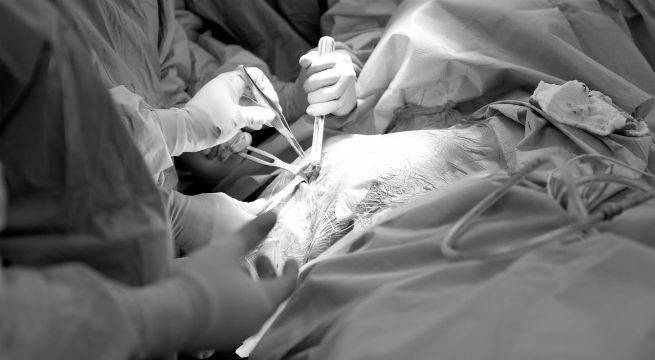 WWE shared a gallery of photos from before, during and after the surgery, which included a number of graphic photos that saw surgeons using various tools to repair the injury. Warning to any readers with a weak stomach! Hunter posted a photo of himself after the surgery, saying it was a complete success. "Out of surgery, happy to report all is well. Thanks to excellent medical care of Dr. Dugas and his team and all the well wishes, messages, tweets, and texts I got over the weekend. Road to recovery starts... NOW," Hunter wrote. Recent reports on the injury indicate the former WWE Champion will have to miss WrestleMania 35 as he recovers from the injury. That absence will mark the first time in 11 years "The Game" hasn't been on WWE's biggest annual show. Even with the injury, Hunter and Michaels were able to beat The Brothers of Destruction in the main event of the Saudi Arabia event. The match marked Michaels' return to the ring for the first time since WrestleMania XXVI in 2010, and he could be seen saying the words "We're told old for this," to Triple H as they celebrated their victory. Prior to the match, Michaels viewed his return as more of a "cheat day" on his retirement rather than a full comeback. "... it's sort of like saying yes to eating chocolate pie. Sometimes, you know, for the most part, you know it's not as good for you, you try not to have too much of it, but every now and then, you have a cheat day, you enjoy it, and then that's it. That's what this is for me, it's a very glorified cheat day," Michaels said. After the match he made it clear he wouldn't be stepping into the ring again. "This whole day I've been anxious, and nervous, and everything else," Michaels said. "But once I got in there with everybody, it was fun, it was comfortable. I felt... did a few things, get a little warm, and you forget how tough this is on your body. I'll be feeling it for the next several days and it'll be a very good reminder of why I didn't do it for 8 years and why I'm not going to do it again, if I can possibly help it."